In 2002, Paul Symonds joined the ambulance service with the dream of one day making it onto the crew of Cornwall Air Ambulance. A decade later he fulfilled that dream, climbing onboard the helicopter for the first time as part of a tightknit team on their way to help someone in desperate need of help. Thousands of lifesaving missions later, Paul is hanging up his flight suit to pursue his medical career at a GP surgery, providing a specialist paramedic level of care to its patients. The job move takes him closer to his Devon home, allowing him to spend more time with his young daughter. The decision to leave wasn’t an easy one for the Critical Care Paramedic known for his dedication to patient care and passion for the Cornwall Air Ambulance charity. Paul said: “My whole reason for joining the ambulance service all those years ago was to one day make it onto the air ambulance. Since 2002 I have wanted to be here making a difference and helping people. Achieving that dream has been an unbelievable experience and one I’ll keep with me forever. Seeing Cornwall in all its glory from the air is a highlight of being an air ambulance paramedic, but the very nature of the service means the crew are called upon to respond to the most serious medical and trauma emergencies on a daily basis. Paul said: “For me it is treating children that is always the most memorable. As humans we’re designed to nurture and care for the young. When you’re in a position when someone hands you their sick or injured child, they are saying they are trusting you with the most special thing in their world. That is a big responsibility and one that is never taken lightly. As well as carrying out his operational duties, Paul has been a regular face at air ambulance events and open days throughout the past five years, sharing his love of the charity with supporters. He said: “I must have met thousands of people over the years. There are so many people out there who are just as passionate about the air ambulance as I am and talking to them about this wonderful charity is something I’ll never tire of. 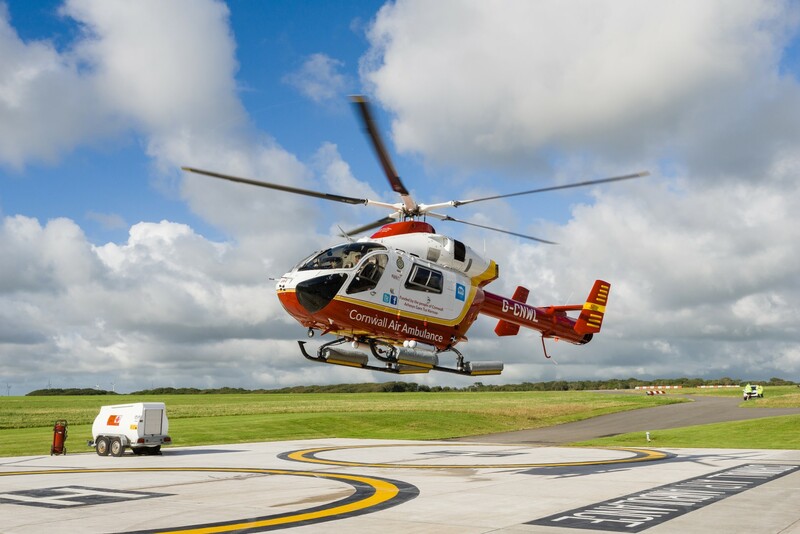 Despite leaving his job on the crew, Paul remains part of the Cornwall Air Ambulance family and plans to return for events and to carry out periodic operational shifts when cover is needed.